We're Theta Center of Light, a mother and daughters' one-stop-shop Spiritual Training for healers, coaches, therapists and intuitives who are looking to develop their intuitive abilities and hone in skills needed to take their healing practice to the next level. The Theta Healing® Technique is a highly versatile meditation training technique for self development that empowers you for positive change. Reprogramming your subconscious mind from your limiting beliefs and feelings that are holding you back from happiness, love, wellness, prosperity and abundance. 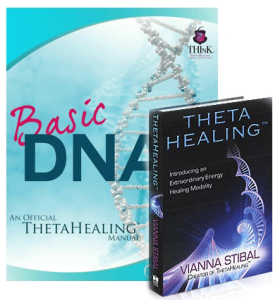 Certification: You will be certified as a Theta Healing® DNA Basic Practitioner, allowing you to use these skills into your healing practice. Duration: This seminar is taught in 3 consecutive days. The heart of this class is the practice of techniques that allow you to change life patterns held in place by core, genetic, historic and soul beliefs, either self-inflicted or externally imposed. You will discover how to identify your limiting beliefs through muscle testing, then how to quickly and simply change them to positive and empowering ones. Instantly changing years of self-sabotage, bad habits and negative life patterns. This course will awaken your intuitive abilities and chakras, as you connect to Divine Source Energy for readings and healings. We’ll guide you in deep theta meditation to silence your mind and access your subconscious mind. You’ll also discover how to connect to your guardian angels, do future readings, activate dormant parts of your DNA and learn to manifest using Source Energy.